Often times I find myself daydreaming and creating ideas of images I want to create and capture!! For a while I could picture a beautiful wooden swing with lots of floral decor, my little girl in a princess dress, and a floral crown!! With a lot of love and work, we made it happen!! My husband worked with me to make my dream become a reality and helped me build the setup. I finally figured out dream lighting (which I love) and added more lighting to my studio. The swing and setup took hours it make, but was so worth it! I was able to capture the images I had in mind of my little girl. I received such an awesome response that I decided to do tree swing minis and was able to share them with 7 beautiful families! I supplied floral crowns and dresses for the girls, and some mommy's chose to bring their own dresses too. I can't wait to share with you the beautiful families and the images I captured for them!! I had the pleasure of meeting Baby Margot for her newborn session and she was a dream! The Anderson family lives in New Albany, just a short drive from me! 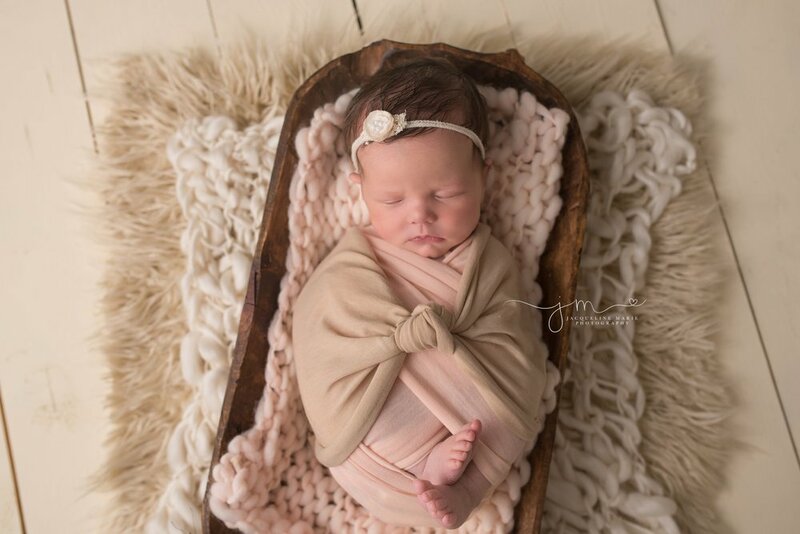 I was so happy they brought little Margot for her newborn session! The beginning of her session she was wide awake and wanted to see what was going on! With some work she gave in and we also got some great images of her sleeping. I know Margot's parents loved the images of her awake! They chose a beautiful image of her wide awake with her bright eyes open as their canvas image to display in their home! She definitely loved being held by mommy and daddy. We didn't see her eyes the rest of the session. We created some beautiful memories for the Anderson family. I can't wait to see sweet Margot back for her 6 month milestone session. Thank you again Anderson family! Christmas tree farm mini sessions are my favorite sessions of the year! I spent two weekends with 9 amazing families this year!! The weather was so different each weekend too. My first weekend was all sunshine and warm. The second weekend was very cold and snowy! But, it made for some awesome images! Each year I'm so thankful for each and every client I have. I love that they have given the opportunity to give them memories of their family! I enjoyed my time with each and every family. I can't wait to share all these families with you! Merry Christmas to all of you!! A few weeks ago I had the pleasure of meeting this beautiful couple! In just a few short weeks they will become first time parents! I'm excited for them to experience the amazing world of being parents! We spent our evening at High Banks Metro Park in Lewis Center, OH capturing these beautiful memories for their maternity session. 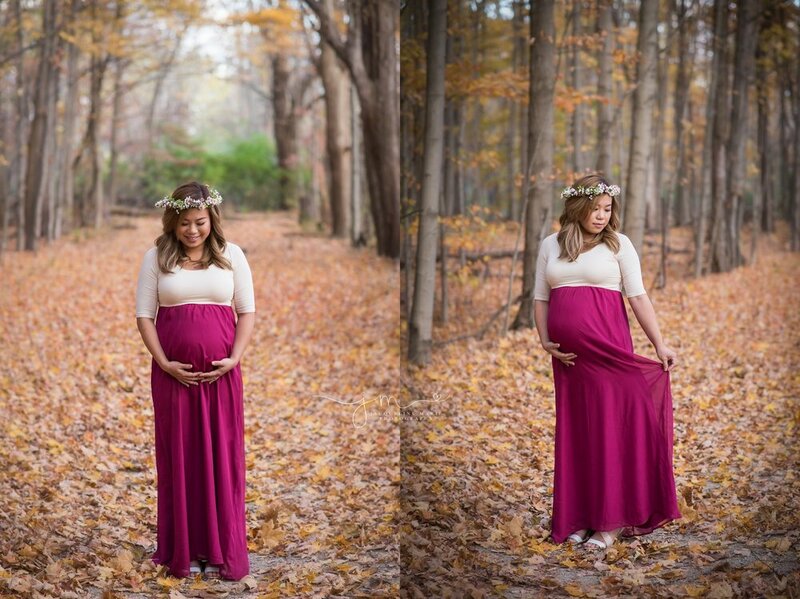 May is glowing and looks amazing to be 35 weeks pregnant in these images! During our session we discussed the name they chose for their little girl, and lots of stories about delivery! 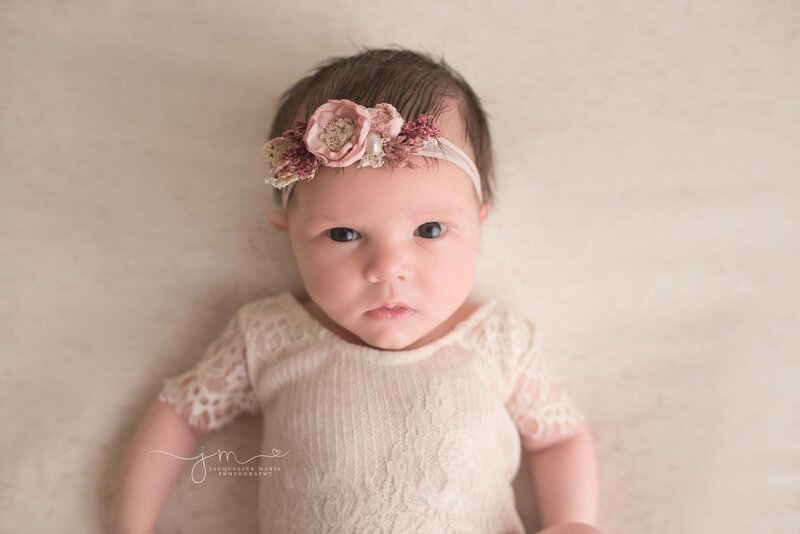 I can't wait to meet sweet Ella in a few short weeks for her newborn session. Thank you for choosing me to capture these memories for you! The next time I see you both you will be mommy and daddy!